Home / Fact / 7 Ways to Know if Someone is telling a lie! 7 Ways to Know if Someone is telling a lie! All the extra moisture present in the skin starts coming out as sweat, giving rise to the cartoon image of liars overheating and sweating profusely. Truth tellers recount a story as it happened and are easily able to pull up the chain of events from their memory banks. Since liars are omitting facts coming into their head, they may tell a story erratically, passing the blame off to a poor memory. Most people who lie often feel at least a little bit of shame in doing so and will avoid eye contact. While the amount of eye contact a person is comfortable with differs from person-to-person and culture-to-culture, try noticing if they can’t look you in the eye. Since a liar has to be careful their fabricated story doesn’t conflict itself, they’ll often speak slower than is natural to self-edit the story on the fly. One of the most Hollywood depictions of a liar is with heavy breathing. Since our bodies are preparing for immediate, extreme action, our breathing increases to get more blood to our muscles. Rising and falling of someone's shoulder or cracked, garbled voice can give it away. More commonly seen in people who are caught without time to develop a cover story, constant correction can be a red flag. People who lie have to modify the story so far from the truth that they often backtrack on what they say, like “I reached at 9. More likely 9.30. Maybe 9.20". When you ask a question to a potential liar, look at what they do with things around them. 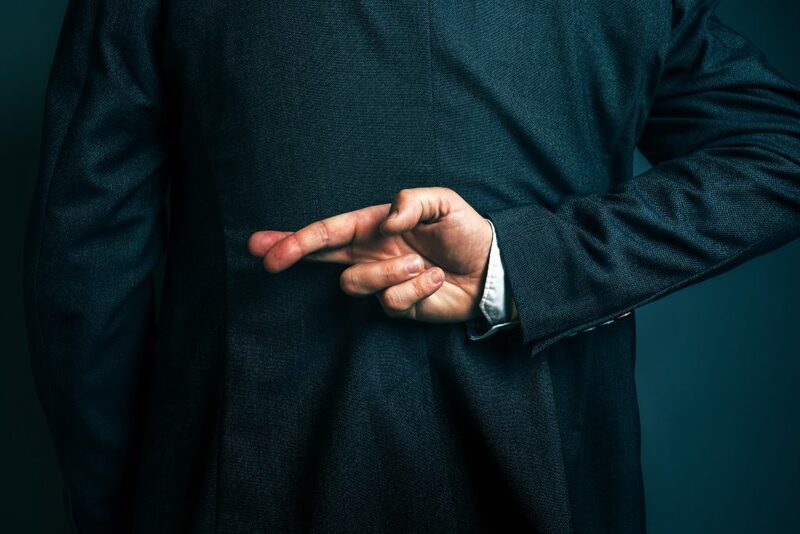 Liars may dissipate anxiety by straightening their phone or moving a notepad further away – any physical movement to rearrange their nearby surroundings.